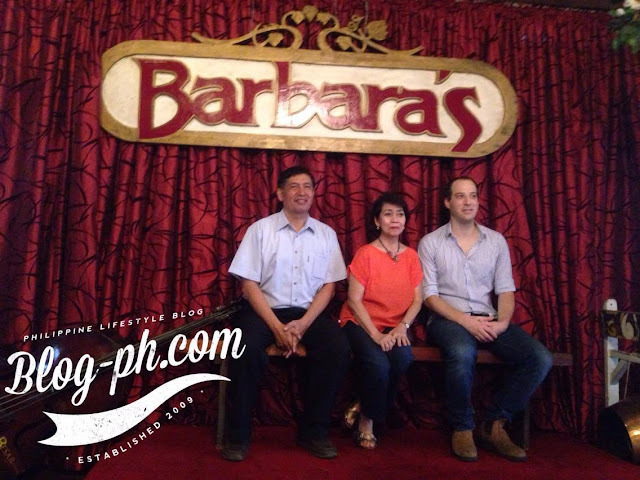 TEAM IsraAID Philippines: Board Members David Santos, Barbara De Los Reyes and IsraAID Philippines Country Director Netanel Nisan at Barbara's Intramuros. 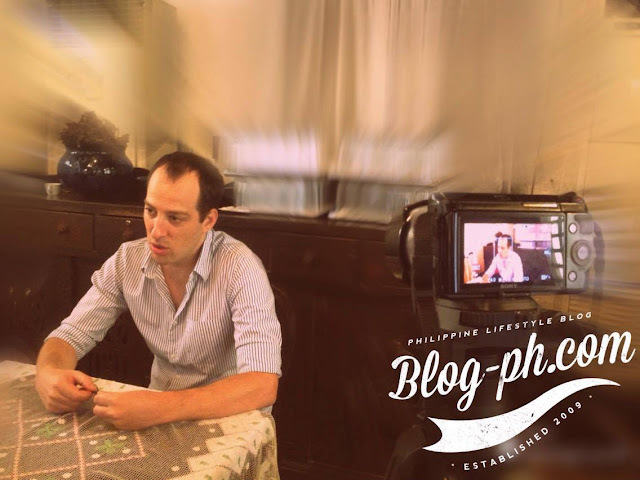 During the first ever IsraAID Philippines press briefing, one member of the media asks IsraAid Philippines Country Director Netanel Nisan why they chose to help other countries like the Philippines when their own country, Israel needs help too. He answered, "We help all those in need." IsraAID’s first operation in the Philippines was after Typhoon Ketsana (Ondoy) in 2009, when a group of doctors and nurses joined local partner Operation Blessing International in medical operations. Blog-PH asked how they choose the next country to help, the country director replied, "We don't choose, they chose us." IsraAID, founded in 2001, is a non-profit, NGO committed to providing life-saving disaster relief and long term support. For over a decade, their teams of professional medics, search & rescue squads, post-trauma experts and community mobilizers, have been first on the front lines of nearly every major humanitarian response in the 21st century. They are now present in 35 countries that includes Germany, Greece, Haiti, Japan, Kenya, Nepal, Philippines, Sierra Leone, South Sudan, Uganda, South Korea, USA, Jordan, etc. On November 8th 2013, the Philippines were devastated by typhoon Haiyan (Yolanda) also dubbed as the most powerful typhoon to have made landfall in modern times. With sustained winds of over 200 kph (peaking at 315 kph) This resulted to deaths of over 6,000 people, injuring more than 27,000 others, displacing approximately 4 million people, and affecting a grand total of 16,078,181 people. 48 hours later, IsraAID's first emergency team left Israel. Now, IsraAID Philippines has 3 Israeli employees, 4 Filipino employees and they are now on their 5th year here in the Philippines. Unlike other countries who visited the Philippines, gave their donation and then leave, IsraAID Philippines is different. Their mission is to efficiently support and meet the changing needs of populations as they strive to move from crisis to reconstruction, rehabilitation, and eventually, to sustainable living. Launched in November 2014, it aims to support Filipino rural farmers in creating greater income generating opportunities and long term rehabilitation, The programs offers capacity building and introduction of modern technology and know-how, through hands on training, using practical tools for agricultural technical and practical improvements. They now uses Drip Irigation System with 90 greenhouses which resulted to bigger tomato, cabbages, etc. During the emergency phase, and at the request of the Ormoc CDH, IsraAID took the lead on Mental Health and Psycho-Social Services (MHPSS), conducting stress-debriefing sessions for local professionals. In addition, in close cooperation with the municipal coordinator on MHPSS issues, IsraAID began building a 1-year post-trauma training course for local professionals. Their achievements includes: Achievements Stress-debriefing activities completed for 821 teachers, Philippines National Police (PNP) members, the local rescue team, and health workers and Completed the first Training-Of-Trainers (TOT) seminar in January 2014 for 17 local professionals. IsraAID Philippines helps rebuilt the roof of the Ipil District Health Center that caters to a population of 29,571. Reconstructed the library and 5 classrooms in Ipil National High School, San Antonio Health Centers and Daycare Center facilities plus four additional classroom in Ipil National High School is underway. They also donated 11 fishing boats to fishermen families in Macabug and provided necessary equipment to furnish "Boys Holding" (Youth At Risk) facilities. HOW CAN YOU HELP IsraAID Philippines? There is strength in numbers! Advocacy is key to changing mentalities and taking action. Help create awareness about IsraAID by sharing this blogpost and by following them on Facebook.